O credible analyst Ming-Chi Kuo new report lists the timeline of this year’s releases for Apple, which according to him should be held entirely in the third quarter of 2014, except, perhaps, in some small upgrade iMac in the first half of the year . Beyond this, however, we expect to see from September onwards upgrades to iPad Air, iPad mini, Apple TV and MacBook as well as the release of two new products: iWatch and 4.7-inch iPhone with the rumored 5.5-inch iPhone be scheduled for the end 2014 due to problems in production. 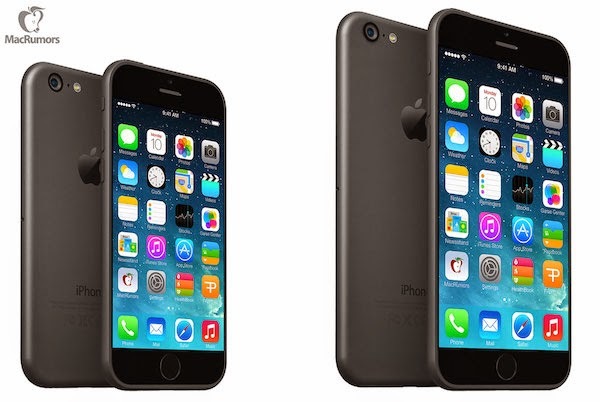 The iPhone 6, or whatever it is called, will change for the first time the location of the power button from the top to the side. If the device is actually 4.7 inch such a change would make sense to serve the function of a hand or possibly a new feature. The iPhone 6 will feature Retina 4.7 inch screen resolution 1334 × 750 pixels at 326 pixels per inch, while the model with the 5.5 inches will have a resolution of 1920 × 1080 pixels at 401 ppi. Both devices maintain the same aspect ratio (16: 9) of the iPhone 5 so that it is not necessary to redesign the applications from scratch. In other specifications we expect A8 processor, 1GB RAM, Touch ID, camera 8MP, smaller bezels by 10-20 percent and thickness at 6.5 or 7 mm (the iPhone 5S is at 7.6 millimeters). Also, Kuo believes that the iPhone 6 will have NFC chip and only the most expensive models (eg 64GB 5.5 “iPhone 6) will come with a screen of sapphire due to restrictions on production, although the company plans to integrate the Touch ID on the screen and will need the sapphire to achieve greater accuracy. The iWatch will be released in several colors and two different sizes (1.3 and 1.5 inches) with Apple to give huge emphasis as you can see in the design and aesthetics of the device. Both models, however, will have a flexible AMOLED display protected by sapphire scratches and possibly wireless charging technology and use liquid metal. 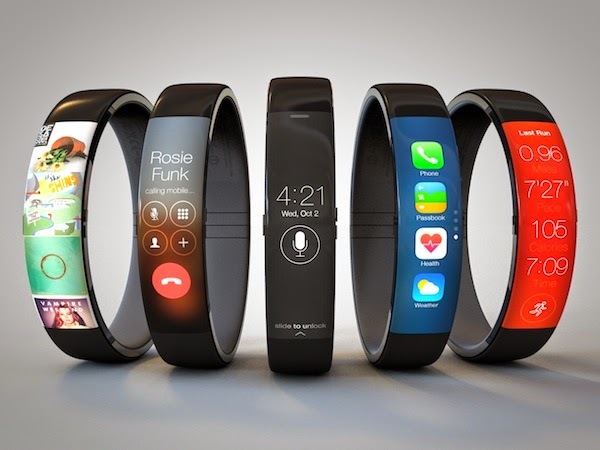 The Kuo believes that apart from the various biometric sensors the iWatch will fully cooperate with the iPhone, iPad and Mac and will have feature NFC. Regarding the price iWatch will be released in multiple versions to be costed different. Therefore the more expensive models may cost thousands of dollars (!). The strong suit of Apple and point of differentiation appears to be, however, the design of the iWatch. This year both the iPad Air and the iPad mini will be upgraded with new A8 processor, 8MP camera with sensor and fingerprint sensor Touch ID. The Kuo believes he can see the Retina iPad mini still cheaper to give a greater boost in sales. As for the rumored iPad 12.9 inch by Kuo believes that Apple is still working on it but it will be released in 2014. Provisions of Kuo for Mac include a 12-inch MacBook Air with Retina display, even thinner build, no fan and no mechanical trackpad button to be released in late 2014. Also believes that Apple will release a cheaper iMac that will help the company compete with inexpensive proposals competitors such as HP and Lenovo. This model is expected in the summer, perhaps at WWDC. We do not expect neither the infamous year of the Apple TV set but an upgraded Apple TV with its own App Store technology and motion control.